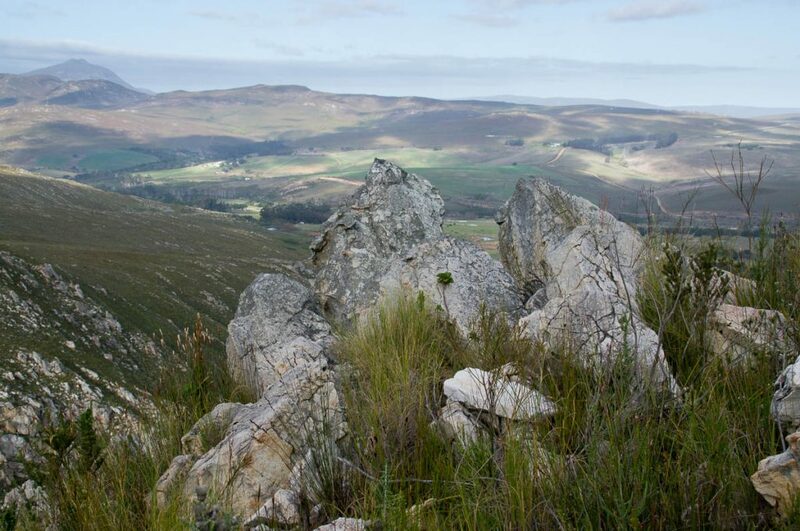 Geocaching is a simple way of turning an ordinary walk in the country into a fun treasure hunt. We have hidden six geocaches along the route of two of our hiking trails. All the geocaches can be done as a loop of about 3.5km, providing goals along the way, which is great for kids to keep them going. The equipment is simple: either a smartphone or dedicated GPS unit. 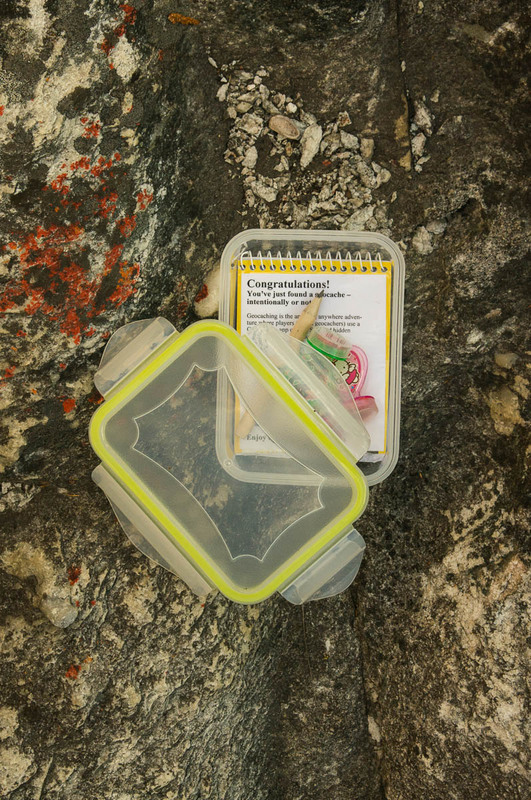 Most of the fun comes from finding the geocache itself but if you have children, then you can also bring along a small toy or trinket that can be swapped for something hidden by a previous geocacher. If you are new to geocaching, we have written a simple guide to geocaching to get you started. Geocaches are hidden but never buried. 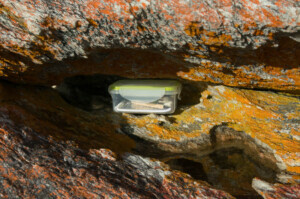 Our geocaches are all in medium-sized clear plastic boxes that are easy to spot - if you are looking in the right place. It will require some stooping low, looking around and between rocks, but you will never have to move something to find the geocache. These geocaches are all designed for beginners (when you get seriously into geocaching there are expert level geocaches that are smaller than a matchbox). 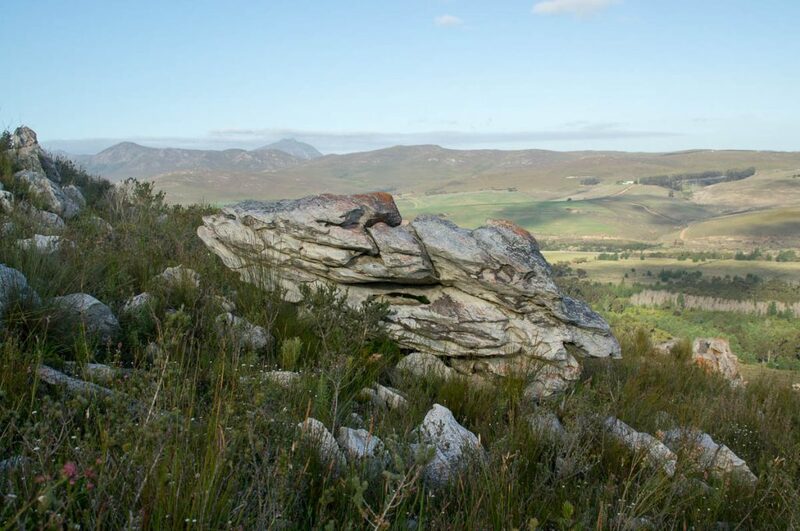 Due to the nature of the terrain here, our geocaches are associated with rocky features in the landscape. 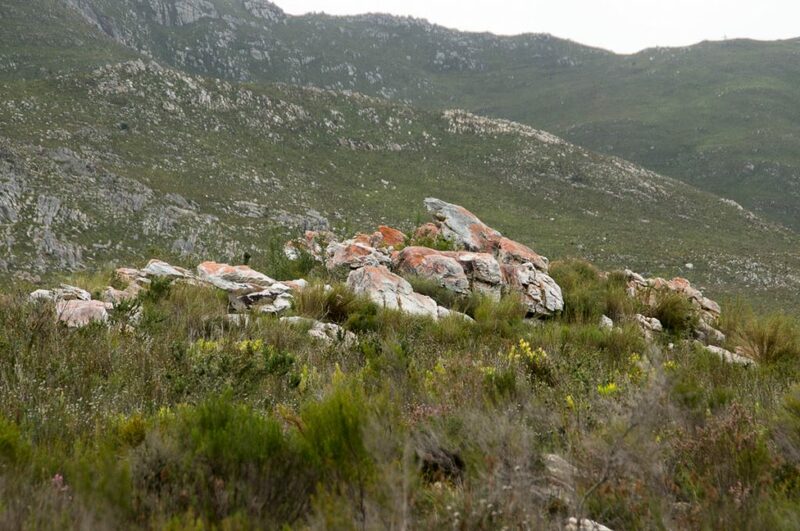 None are in difficult or dangerous places to access (if you are going somewhere risky, then you are looking in the wrong place) but small children may need a hand over the rocks. It is best to stick to the paths until within a short distance of the geocache. 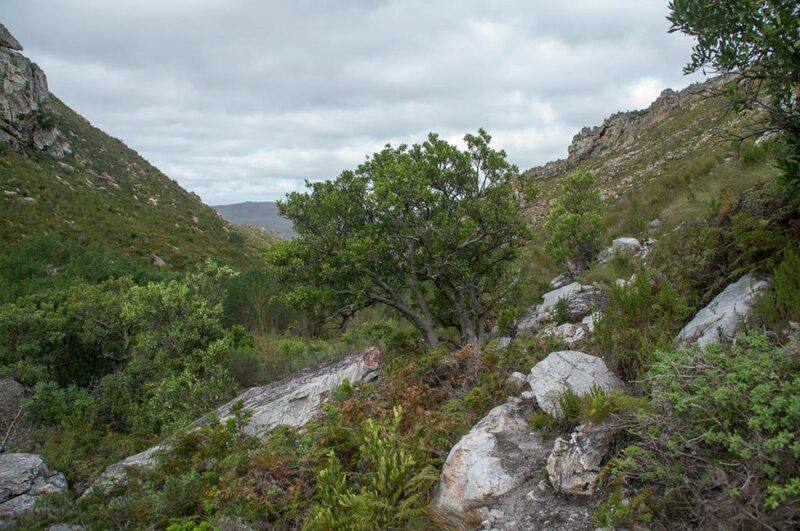 No geocache is more than 50m off one of the two hiking trails. While a smartphone or GPS unit are usually needed, it is possible to hunt our geocaches without one. 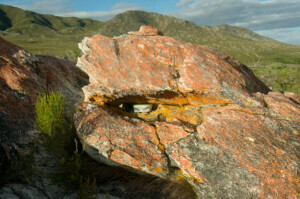 We have reproduced 6 photographs below the map that were taken looking at the rock where the geocache was hidden. Look at the map and see roughly where the geocaches should be. 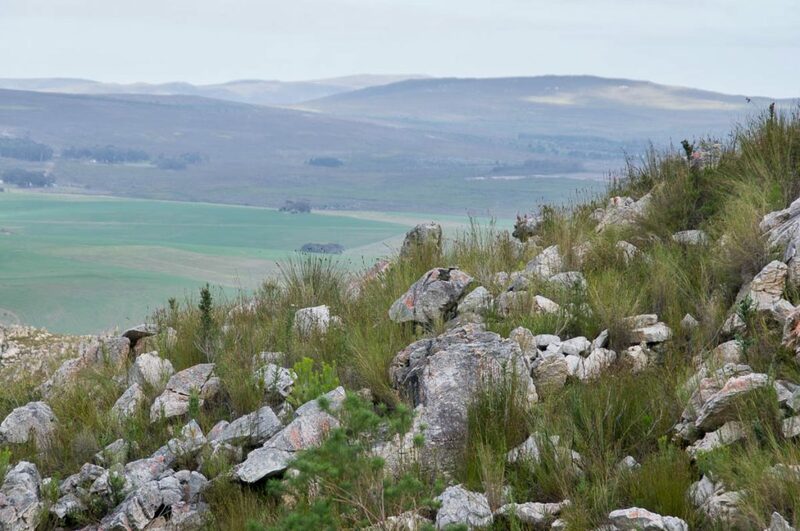 Then study the photographs and when in the right area see if you can spot the rocky feature. We have not put the photographs in order of the geocaches, but if you need extra help look at the properties for the image it will show you the geocache number. 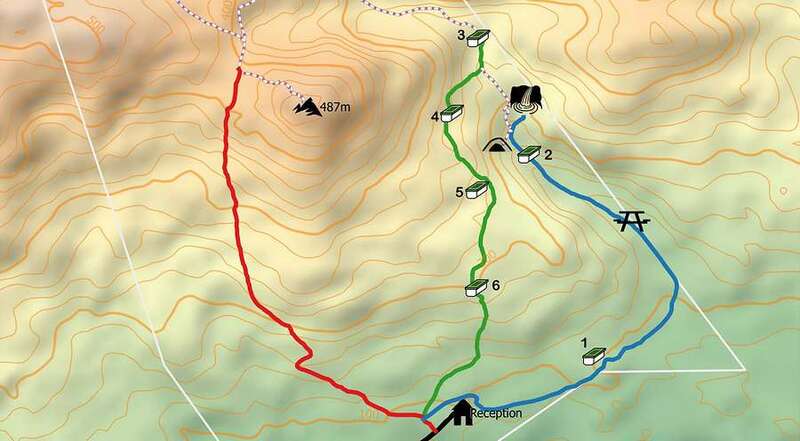 A map of the route indicating the rough positions of the geocaches is given below, or you can download the full map suitable for printing (2.6Mb). 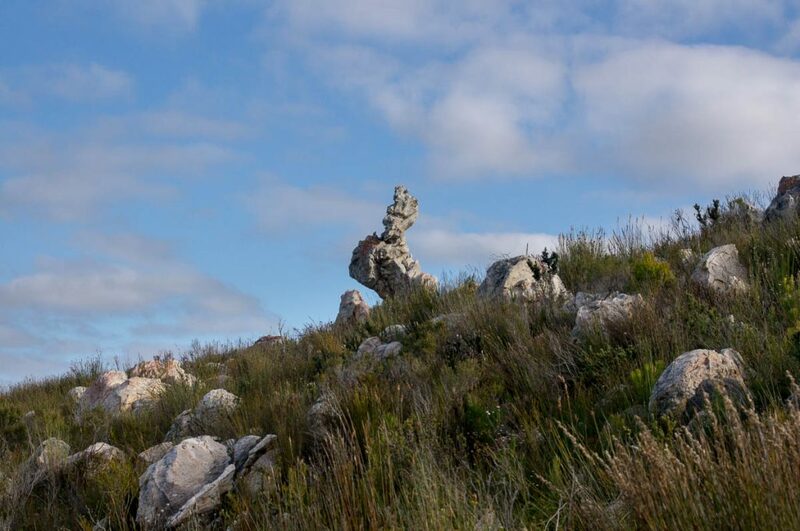 geocache, GPS, hike, hiking trail, Klein River Mountains, map, Overberg, Stanford hiking, walk. Bookmark.